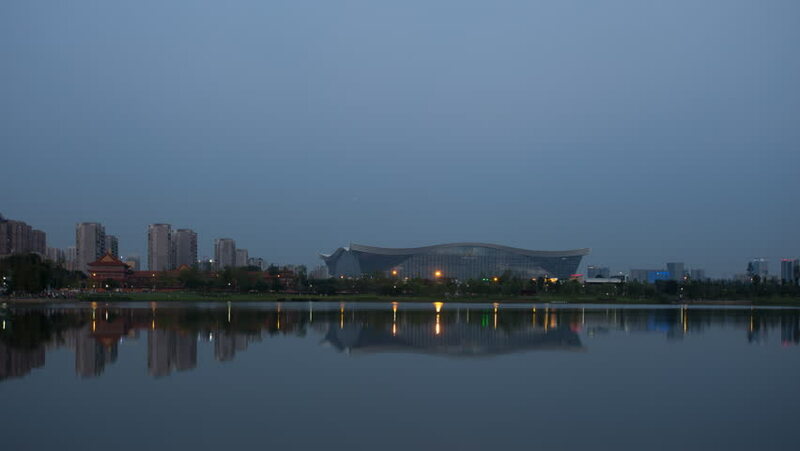 CHENGDU, CHINA - SEPTEMBER 10: 4k timelapse of Chengdu new century global center and Jinchenghu lake, from dark to the blue hour, till the night, September 10, 2016, Chengdu, China. hd00:17CHENGDU, CHINA - SEPTEMBER 10: Chengdu new century global center and Jinchenghu lake in the late afternoon, it is the largest single building in Asia, September 10, 2016, Chengdu, China. 4k00:23Hot Air Balloons floats across the Putrajaya Lake with calm reflection in Putrajaya, Malaysia. 4K.